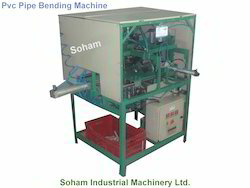 Manufacturer & Wholesaler of PVC Pipe Bending Machine. 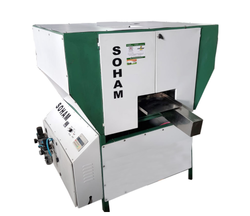 Our product range also comprises of CNC Cutting Machine, CNC Welding Machine and Tube Bending Machine. Beware from duplication and cheater. 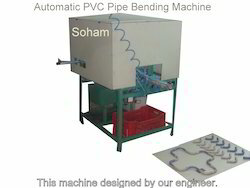 · Pneumatic based PVC pipe bending machine. · PLC based automatic controller With HMI. · Free: Training of machine operation and general maintenance. Free inbuilt 1 die-set free with machine. · Warranty: 9 months in PLC, HMI and Temperature Controller. · This machine designed by our Engineer. · This machine is produced by our technical staff. · Easy to operate & low maintenance. Capacity 400-450 Pcs Pipe Bend per 1 Hr. Machine Speed: 3200 Piece /8hr. 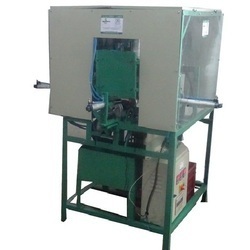 Pneumatic Based Pvc Pipe Bending Machine. Plc Based Automatic Controller With Hmi. Free: Training Of Machine Operation And General Maintenance. Warranty: 9 Months In Plc, Hmi And Temperature Controller. This Machine Designed By Our Engineer. This Machine Is Produced By Our Technical Staff. Easy To Operate Low Maintenance. Capacity: 400-450 pcs per 1 Hr. Max Bending Radius(mm) 400-450 pcs per 1 Hr. Machine speed 3200 pices /8HR. Easy to operate & low maintenance.